Twin sisters Amanda and Ashley Cygan, preschool teachers in Raleigh, NC, share more than DNA. They both struggled with weight throughout junior high and high school. At 18, they received bad news from their doctor: They were at risk for heart disease and stroke, both of which run in the family. 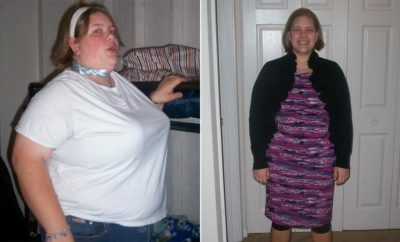 Because of their age, the doctor recommended weight loss instead of medication, and the sisters took his advice seriously. 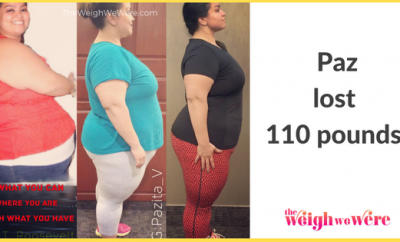 Both women hoped to decrease their BMI and improve their cholesterol levels and overall health; Amanda wanted to lower her LDL (bad) level, while Ashley worked to raise her HDL (good) level. Their diet resembled that of the typical American college student—fast food, soda, processed foods (especially refined grains), and the occasional ice cream sundae. 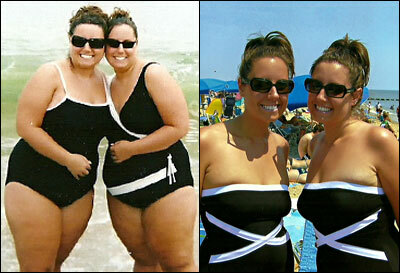 The lack of exercise coupled with excessive portions of unhealthy food pushed the sisters past 200 pounds. The twins started seeing Erin Palinski, RD, CPT, in 2006, when they were still living at home with their parents in New Jersey. For the first year, they met with Erin every 2 weeks, and she encouraged them to make simple swaps and try whole wheat breads and pastas, homemade pizzas, light ranch dressing, and diet soda. Ashley made an effort to eat more foods containing monounsaturated fats, such as avocados and olive oil, to boost her HDL levels. Erin showed the sisters what a proper portion looks like and suggested they follow a 1,400- to 1,500-calorie diet. They tracked their meals based on the type of food they ate, for instance, starch, vegetable, fruit, protein, fat, or dairy. Their journals were nearly identical. Once they moved into their own apartment, they kept a joint food record because they carried the same snacks to school and cooked dinner together. Amanda and Ashley decided to begin exercising after a few months of focusing on their eating habits. They started with walking. 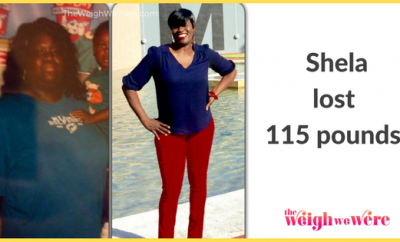 A year later, each had lost close to 60 pounds and added resistance exercises to tone their bodies. At the campus gym, they did triceps extensions, biceps curls, squats, crunches, and cardio. The twins don’t think they could have done this without their dietitian’s help. “Knowing that someone was going to weigh me was a big motivator to work hard. I didn’t want to disappoint myself or even Erin,” Amanda says. She and her sister still touch base with Erin and make appointments with her when they’re in New Jersey. Each morning when Ashley’s phone alarm goes off at 5 a.m., she says she wants to throw it out the window. The vision of her rocking a bikini is the only thing keeping her phone in tact. Amanda works extra hard because she is preparing to walk down the aisle next year. The Cygan sisters can now shop at stores like Hollister, American Eagle, and Delia’s—the clothing used to be too small for them. Every single success story helps motivate me more and more, and seriously helps me keep going!! Well Janis just accomplish it any way u believe & I was talking to my friend Marie Juan Kime!! Unless you’re Jewish and don’t believe in Christ!!! Tanya Madanat can we do this together?!?! I want us to have a motivational article as well! Way to GO GO GO ladies!!! WOW! You two look amazing. having someone do it with you increases your success AND lasting results! 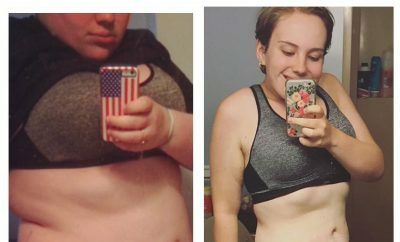 80 Pounds Lost: Collegiate Weight loss – I promise it’s not impossible!